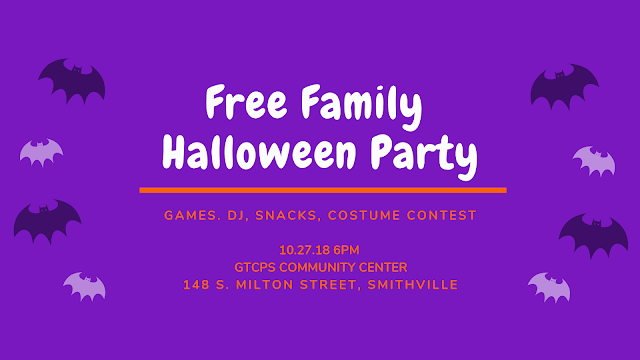 Stop by the Community Center during Smithville's Trick or Treat for a treat, then come back for a free family Halloween party. We will have games, themed snacks, Harmonic Hearts Entertainment on DJ, and a costume contest. The party will start at 6 pm, but guests are welcome to come early. This party is free, but donations to support The Community Center activities are always welcome. If you or your business would like to sponsor the party, please email or call 330-669-0036.